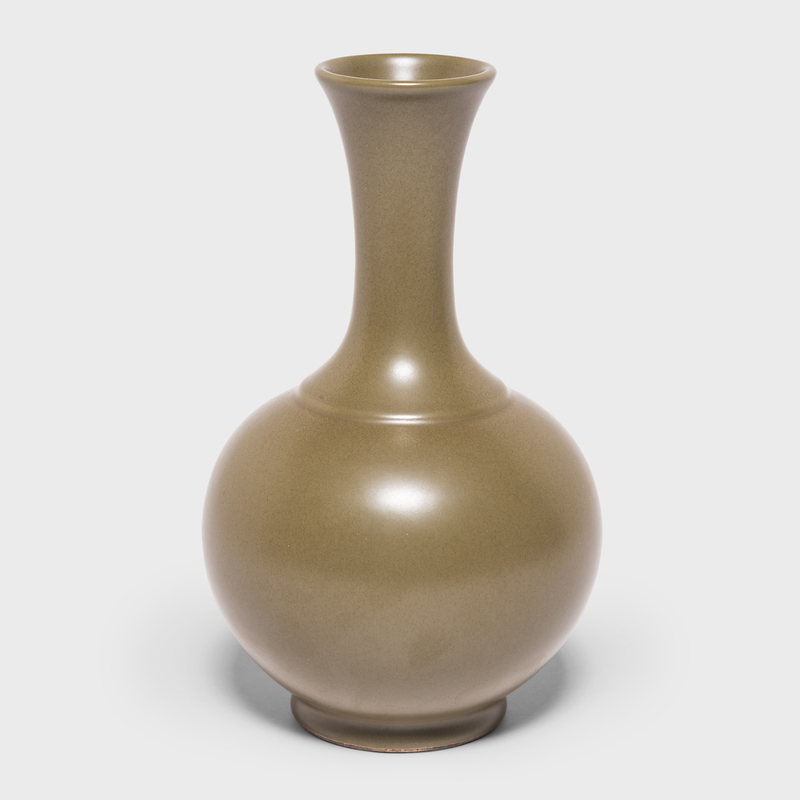 The striking monochrome of this vase draws on a long Chinese tradition of ceramics glazed in a single, statement-making color. 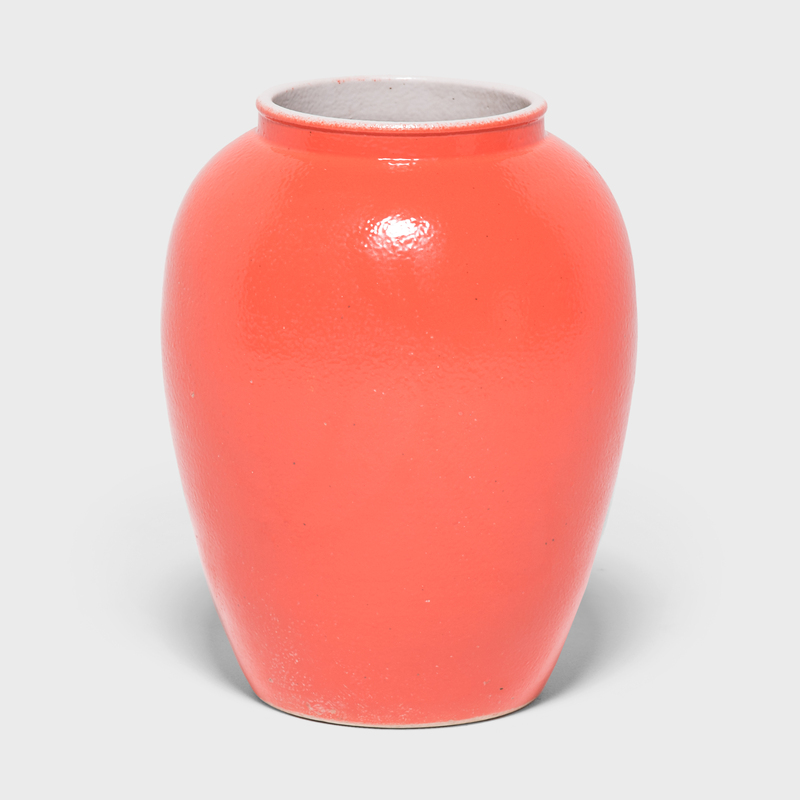 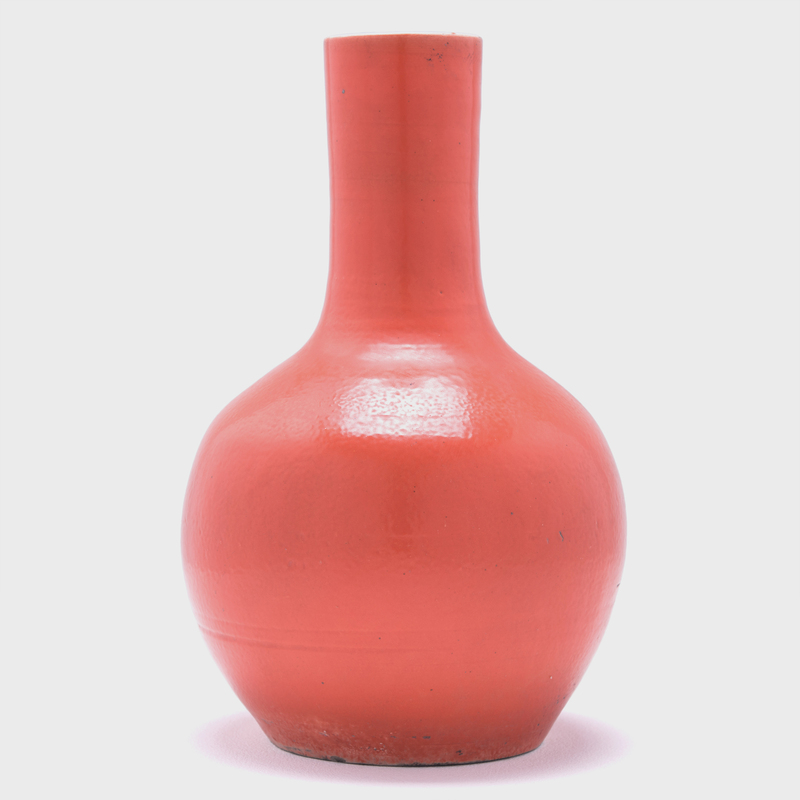 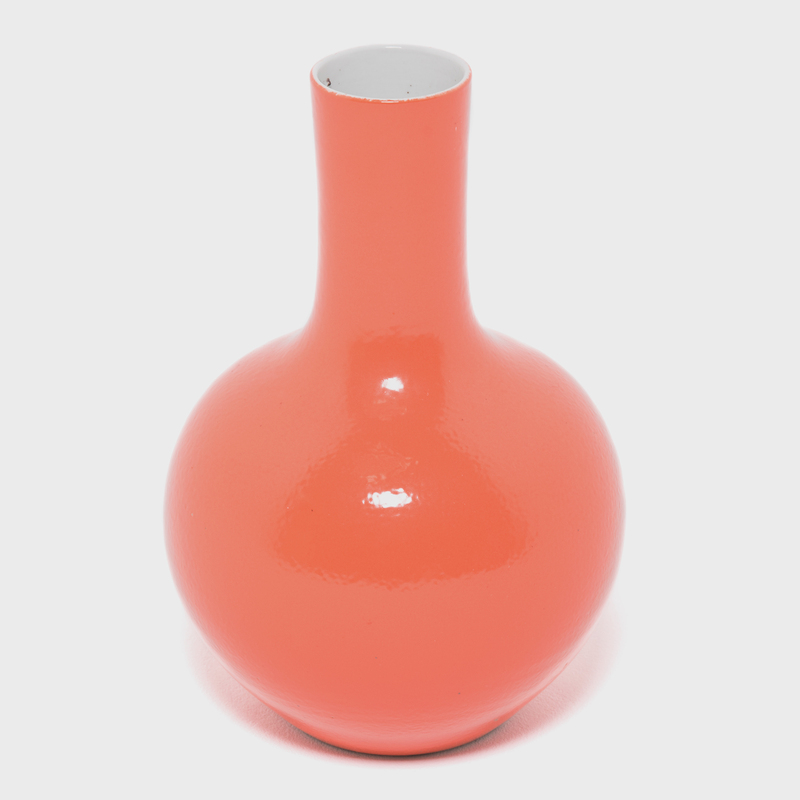 This vibrant glaze brilliantly brings the persimmon to life, an auspicious symbol in Chinese art. 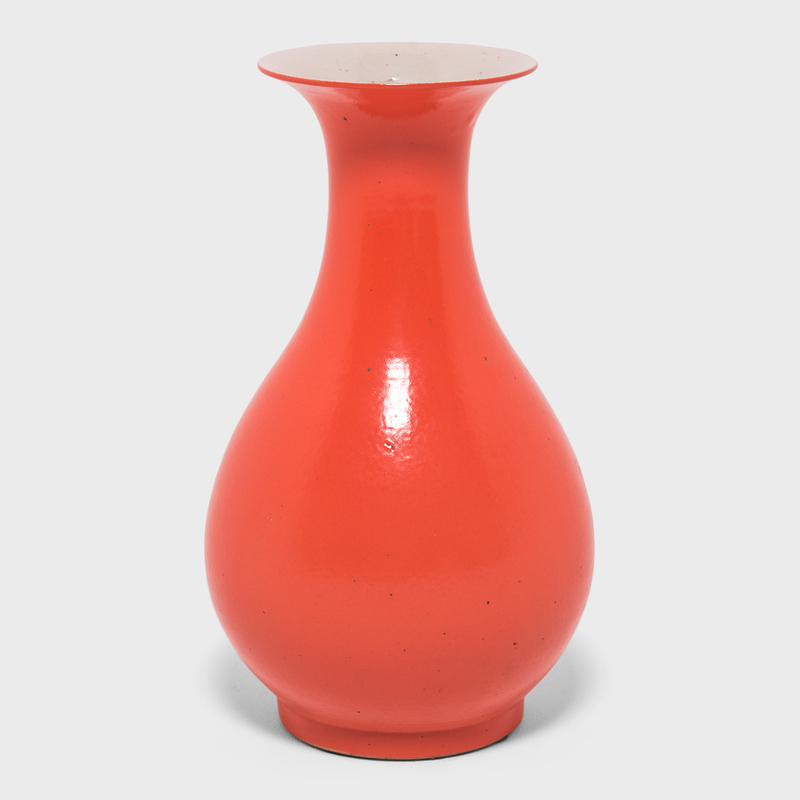 Sought after en masse by 19th-century European collectors, the long, thin gooseneck design of this bright vase remains timeless.